Globalized economy has led firms to introduce new innovations in the market quite frequently. Optimal Introduction time is an important strategic decision for firms because an early introduction may not take off as customers; channel members and other required partners might not be receptive enough, on the other hand too late an entry results in loss of opportunity for the firm. The decision is even more critical when introducing successive generations over time. In this study, the authors have developed an analytical approach to help decide the optimal introduction time for successive generational product. The timing decision depends on whether firms push the product to market before competitors or invest more time in process & product design and improvement. 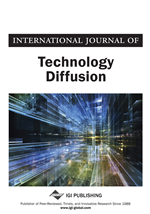 The authors have examined the case where a firm introduces successive generations of a durable product for which demand is characterized by an innovation diffusion process. Results are supplemented by a numerical example. Successful sequential products introduction contribute substantially to long-term financial success and are an effective strategy to increase primary demand. It strengthens the competitive position of the company in the market. Also, a new innovation can be an ideal tool to segment the market through sequential product releases. In today’s time most of the products and services we consume represent improved versions of earlier generations, and today’s products will eventually be substituted by even newer generations (Jiang, 2012) Further, in a competitive market, firms are often forced to constantly improve their products in order to stay competitive. Therefore, continuous product improvement in the form of successive generations is frequently observed in the marketplace. When the time interval between technologies is short the earlier technology may continue to diffuse through a population of potential buyers even as the substitution process is under way. Therefore, the demand for an earlier technology may continue to grow even as the substitution process occurs, as illustrated in Figure 1 (Norton-Bass, 1987). The figure depicts the sequential release of a product, which with time compete with the earlier available generation in the market to strengthen the competitive edge. Well known examples including Apple Inc.’s iPhone and iPad, and Microsoft’s Office and Windows lines of products (Jiang, 2012). Customers who want to use a product early generally tend to value them more and therefore are willing to pay more. For example, publishing companies conventionally release hardcover version of a book first at a higher price and follow it up with the lower-quality, lower-priced paperback version afterward. As the continuous innovation becomes the survival mantra for companies, many manufacturers introduce new innovations often by adding new variants into the basic product (Kapur, Chanda, Tandon, & Anand, 2010; Singh, Kapur, & Anand, 2011). Generally, in the initial phase of a product lifecycle the rates of extensions made are typically slow but they tend to widen over time. The companies normally target consumer subgroups with new products customized to suit special needs. This practice is most visible in many consumer durable goods markets, such as the markets for consumer appliances and consumer electronics. But the risk is formidable as for most business organizations especially in high technology product market the development are associated with high cost and risks (Cooper, 1979; Cooper & Kleinschmidt, 1986) and failure may cause considerable financial loss and embarrassment to the firm. Thus, identification of factors that drive product outcome can help a firm to better utilize the resources committed to the product delivery process and increase the market demand for a firm's new products (Zirger & Maidique, 1990). In recent years many research studies has been made to understand the apparent reason of high failure rates of new product in the market place (Dougherty, 1990; Cooper, 1993; Urban & Hauser, 1993; Sivadas & Dwyer, 2000; Ernst, 2002). These researches indicate that the commercial success of new products depends on how well the market opportunity has been identified and how the complication of new product introduction timing is analyzed and incorporated into the decision making process. Thus, the companies need to judiciously balance the conflicting marketing requirements of variety and complexity of introduction of a new innovation to keep the failure risk as low as possible.